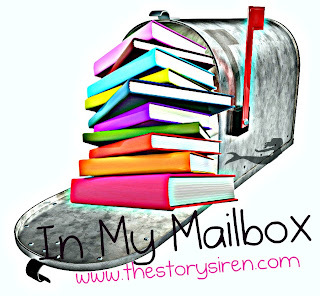 In My Mailbox is a weekly meme hosted by The Story Siren, which allows bloggers to share what books they've borrowed, received in the mail or bought in the past week. I've read mixed reviews about this, but still excited to start it <3 Apparently, you don't even find out the name of the main character until the very end! Eeeee!! AN AUSSIE BOOK :D This came as a complete surprise but I can't wait to read it <3 I haven't read an Aussie novel in AGES. OH.MY.GOODNESS. YES! I FINALLY HAVE A COPY <3333 This one was a lovely surprise too, and I nearly had a heart-attack when I opened the package! Seriously, I've been pining for this since FOREVER and now I can FINALLY read it!! YAY! Will be starting this...VERY SOON. This is the third one in the trilogy! Now, I must get hold of the first book now :D Oh, and I can't believe I haven't watched the movie yet either! WHAT HAVE I BEEN DOING?!?! Article 5 is AMAZING!! I seriously can't wait to see what you think of it! (And Chase! ;)) I'm so jealous you have Storm! That books on my list and I can't wait to get my own copy. Great IMM, Shirley! Great post, Shirley! I love the look of a lot of those books, especially Incarnate - your so lucky to get your hands on those. Enjoy them all - I'm sure you will! OMG so many good books...where to start?? Stieg Larsson books are REALLY good. Bit slow, but good. I've read one and a half and seen ALL the films...READ THEM! Also really want Article 5 and The Alchemy of Forever. Great haul! CRAP. YOU HAVEN'T READ THE GIRL WITH THE DRAGON TATTOO? DUDE. GET ONTO THAT. WHAT'S WRONG WITH YOU. Watched the movie with my best friend during summer (the american adaptation) and it was freaking AWESOME. Ahhhh. The books are very long...their spines may scare you by their length...but the series is FREAKING BRILLIANT. Looove Lisbeth. <3 Lisbeth/Blomkvist. EEEEEE!!! I'M WAITING IMPATIENTLY FOR BRODIE'S GUSHING REVIEW<333 OH.MY.GOODNESS. 4 SWOONWORTHY GUYS! I'm dying of happinessss!!!! WHOA! SLOW DOWN. 5?!?!? Sooo the cover's missing one? INCARNATE! WANT WANT WANT! You must hurry up and read it and love it and force me to go buy a copy :D EEeee and so excited about the review copies! I am dying to get started on them, especially Article 5!! I need more hours in the day! Hehehe buttering me up does wonders for my ego and generally puts me in.... what's the word? A 'sharing' mood :D HOWEVER. I draw the line at sharing the real deal. So while you may oggle at pictures of MY boys, I'm keeping the flesh and blood versions locked away in my room! LOL. DAMN. I'VE BEEN OWNED. Okay...at least you've got hold of the books. I still need to get the Iron Fey series. :P I'll shuttup now haha. YOU'RE FORIGVEN FOR NOT READING THEM. Though...take note...it's not JUST crime. There are a few scenes..particularly in the first book...that are a bit..uh..intense. >> But, you knew that already...RIGHT? CRAP. ANOTHER GUY?! IS THAT MEANT TO BE A SPOILER?! *mindfuck* That's too many hot guys for my little heart to handle. OOoh nice! My IMM is looking pretty pathetic this week. But that's okay since last week I had a killer mailbox! My IMM will be up tomorrow, so be sure to stop by then! Great books you got this week. I've heard nothing but great things about Incarnate. Hope you enjoy reading all your books. Ooooh! :D What an excellent haul. Well, I can tell you that I adored both New Girl and Stolen Away. With the former, not finding out the characters name really didn't bother me and with the latter; I don't usually like fairy books but this one was great. I also highly recommend Paige Harbison's first book Here Lies Bridget if you haven't read it yet. A lot of awesome books. EEeeeee You got a signed copy of Storm? I'm so jealous. I can't wait to check out that book. 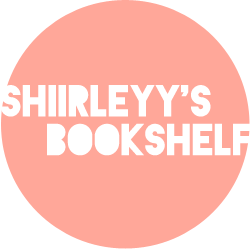 Oh, Shirley... you know, if you ever get tired of getting awesome books, you can always reroute all your books so that they get sent to me? ;D Just a thought. Happy reading! Hope you LOVE all of these! I also got Stolen Away and The Alchemy of Forever too. Already read Stolen Away--wasn't bad but not the best Alxyandra Harvey book I've ever read. Squeeee!!! So jealous you got Incarnate! Love that cover!! Hope you love it and can't wait to see what you think. Don't forget to enter my DRAGONSWOOD GIVEAWAY! Wow, lots of cool books! Incarnate is one of my new favorites! I love that cover for Stolen Away, so pretty! Cover Reveal: Luminosity by Stephanie Thomas. Shatter Me #2 TITLE REVEAL!